Picture: Taking a break in the shade (from left to right) Mrs. Buck, Mrs. Glass and mrs Hanrahan are pictured sitting outside the clubhouse, a pleasure which will not be theirs for much longer if they fail to recruit more members to the club in the near future. Picture: Mrs Gladys Glass marks the ball with her mallet on the green at the Lithgow Croquet Club, in James Street, while fellow players (from left to right) Mrs. Nell Ross, Mrs. Dot Hanrahan and Mrs. Win Buck look on. With a marked reduction in the number of members over the past few years, the Lithgow Croquet Club is having its very existence threatened. 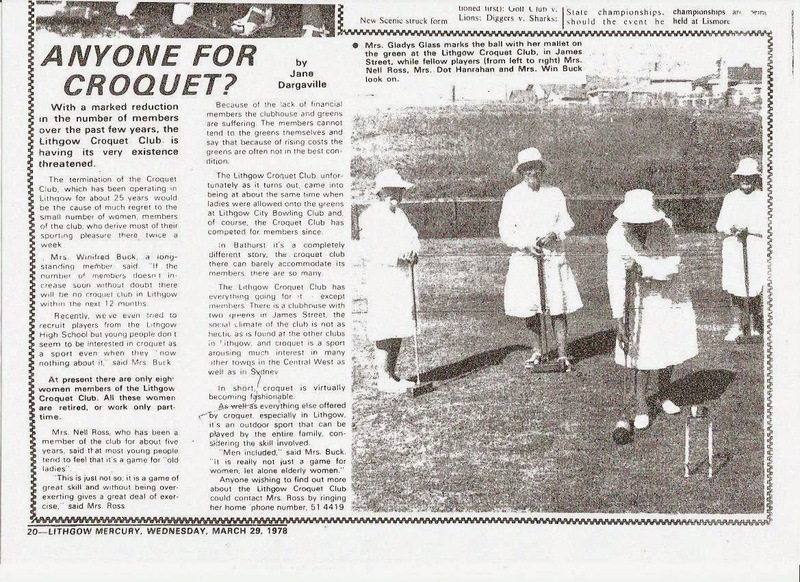 The termination of the Croquet Club, which has been operating in Lithgow for about 25 years, would be the cause of much regret to the small number of women, members of the club, who derive most of their sporting pleasure there twice a week. Mrs. Winifred Buck, a long standing member said "If the number of members doesn't increase soon without doubt there will be no croquet club in Lithgow within the next 12 months." "Recently we've even tried to recruit players from the Lithgow High School but young people don't seem to be interested in croquet as a sport even when they know nothing about it"said Mrs Buck. At present there are only eight women members of the Lithgow Croquet Club. All these women are retired, or work only part time. Mrs. Nell Ross, who has been a member of the club for about five years, said that most young people tend to feel that it's a game for "old ladies. "This is just not so, it si a game of great skill and without being over-exerting gives a great deal of exercise" said Mrs Ross. Because of the lack of financial members the clubhouse and greens are suffering. The members cannot tend to the greens themselves and say that because of rising costs the greens are often not in the best condition. 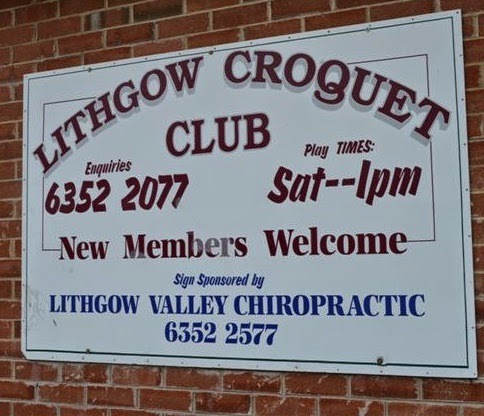 The Lithgow Croquet Club, unfortunately as it turns out, came into being at about the same time when ladies were allowed onto the greens at Lithgow City Bowling Club and, of course, the Croquet Club has competed for members since. In Bathurst it's a completely different story, the croquet club there can barely accommodate its members there are so many. The Lithgow Croquet Club has everything going for it, except members. There is a clubhouse with two greens in James Street, the social climate of the club is not as hectic as is found at other clubs in Lithgow, and croquet is a sport arousing much interest in many other towns in the Central West as well as in Sydney. In short, croquet is virtually becoming fashionable. 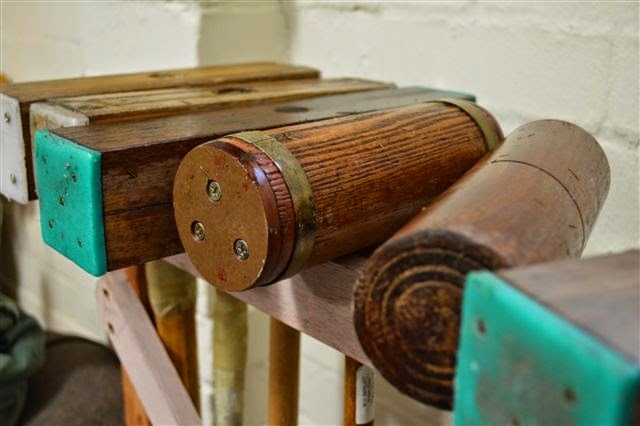 As well as everything else offered by croquet, especially in Lithgow, it's an outdoor sport that can be played by the entire family, considering the skill involved. "Men included," said Mrs Buck. "It is really not just a game for women, let alone elderly women."